Few of my viewers had mailed me asking me to put up some raitas. It was a long time on my to-do list to post it but i never took the pictures and posted. These recipes i make almost every week along with rasam. Simple recipe anyone can make. This goes well with any rice dish or even plain hot rice. "Thair" is a tamil word. 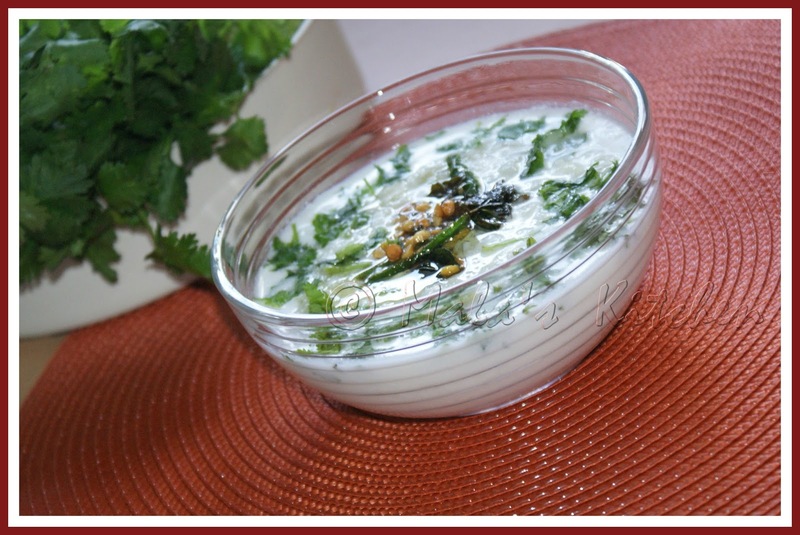 Omg, super delicious and irresistible pachadi..